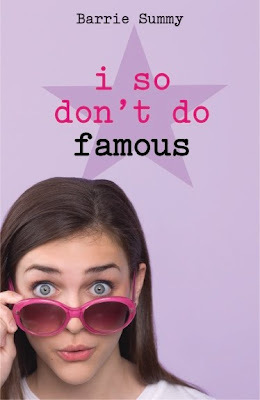 I SO DON'T DO FAMOUS is out!!! How Child #4 freaked out the cleaning lady! Today is a double celebration in the Summy house! First off, Happy Memorial Day! 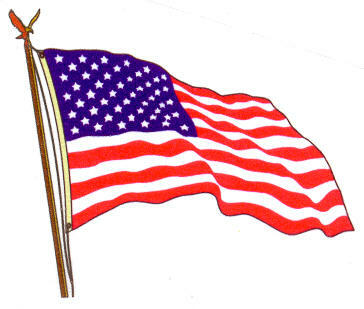 -Memorial Day used to be called Decoration Day because people would decorate the graves of fallen soldies. -The first Southern state to celebrate Memorial Day was Mississippi. The first northern state was New York. -This year, actor Gary Sinise, astronaut Buzz Aldrin and game show host Pat Sajak will march in the famous Memorial Day Parade around the historic city of Washington, DC. -The cost of your Memorial Day bar-b-que will go up about 29% this year. -The majority of deaths on Memorial Day are caused by car accidents. So, please be safe. Wishing you a good Memorial Day that includes some time with family and friends and a chance to reflect on those no longer with us. 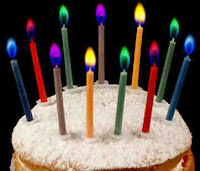 Secondly, today is Child #4's birthday! Her father and I are in shock that our youngest is ELEVEN! Hard to believe it was over a decade ago that my sister, Child #1 and I flew to S. Korea to meet and bring home Child #4 when she was just 5 months old. Best trip of my life! And for those of you wondering...yes, she did get a phone! As she sat, typing numbers into her little contact list, she said, "Cover your ears, Mom. I'm so excited I just have to scream." And that's the kind of delightful child she is! Click here for links to more My Town Monday posts! It's always fun to see what's going on in other corners of the world. Happy Monday! Some San Diego attractions: the ocean, the mountains, the desert, many sunny days, the zoo, Legoland, Seaworld! AND we are also home to Scott Flansburg, the Human Calculator! This nickname was bestowed upon him by Regis Philbin. Scott adds, subtracts, multiplies, divides, figures out cube and square roots in his head faster than a calculator! An MRI showed that several parts of Scott's brain were at work when he was solving these math equations. The rest of us are only using one part. I may be operating on less than one part. You may well have heard of this guy as he's appeared on a bunch of TV shows (Jay Leno, Oprah, Dateline, Good Morning American, Regis and Kathy Lee, and many more). Plus, he's in the Guinness Book of Records. And he has written some books on math for both adults and kids. If you've never seen this guy in action, take a peek at the video below. It's pretty incredible. Thank you, Child #3, for this My-Town-Monday post idea. Child #3: There is no real food for lunches in this house. Child #4: You're not going to wear flip-flops, are you, Mom? 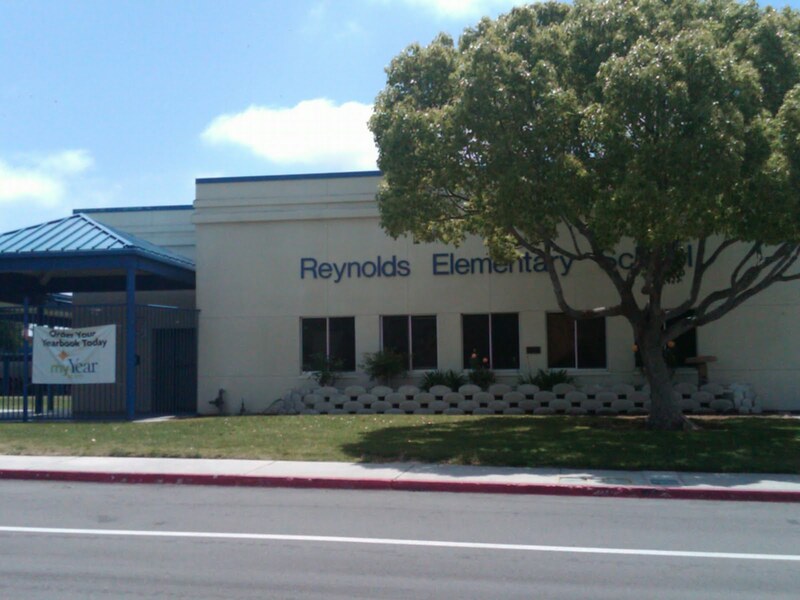 Mr. Summy: What time am I supposed to pick up Child #3 again? Child #1: You have a good reason for doing these visits, right? Dorothy the dog: Can we walk there? Child #2 didn't say much of anything this a.m. 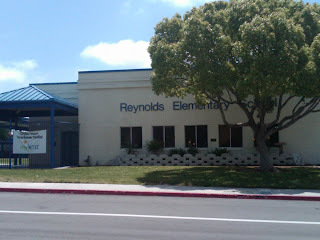 Here is the front of Reynolds Elementary School in Oceanside, CA where the students are inquisitive and fun! The visit went super well. Thank you Barnes & Noble CRM Connie and Librarian Caroline for setting up this delightful event! "Do you want any of your children to grow up to be writers?" "How many pages do all your books add up to?" 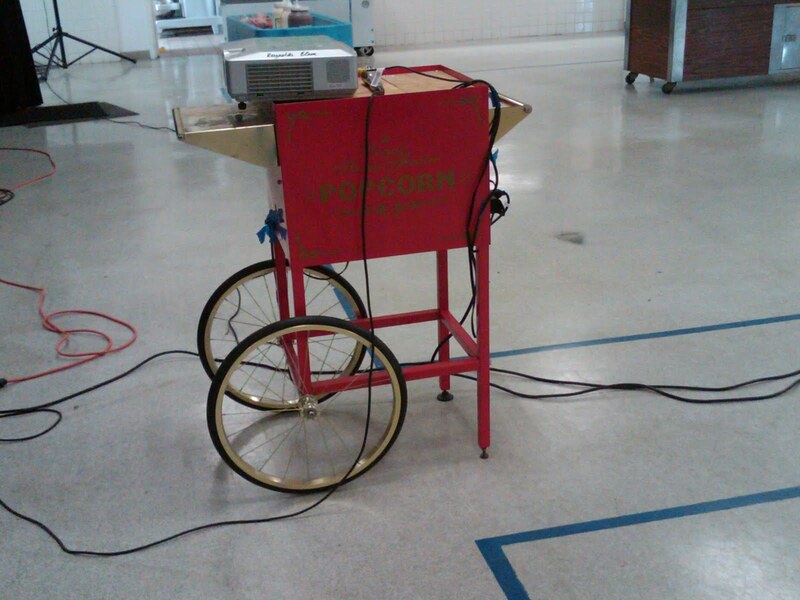 I have never before used a popcorn machine as a stand for the LCD projector and my netbook. But, guess what? It worked perfectly. And was fun to look at. 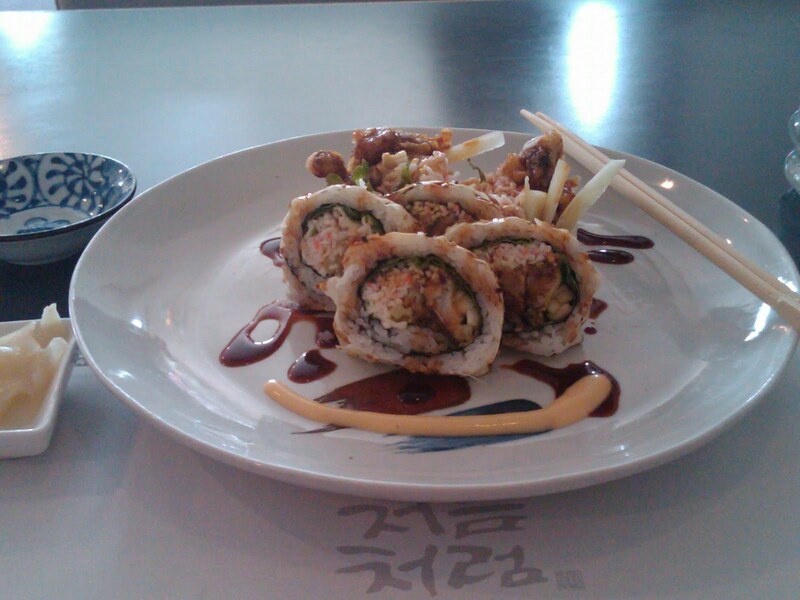 I treated myself to a sushi lunch. Scrumptious! Wyatt Berry Stapp Earp (1848-1929) was born in Illinois and died in Los Angeles. He has a reputation as the Old West's "toughest and deadliest gunman." (http://www.wyattearp.net/) Most people associate him with the bloody gunfight at the OK Corral in Tombstone, Arizona on October 26, 1881. During this 30-second, thirty-shot showdown, Wyatt and his brothers, Virgil and Morgan, along with Doc Holliday took on the cowboys, Ike and Billy Clanton and Tom and Frank McLaury. Billy Clanton and the two McLaury brothers died. Click here for the details of the fight. 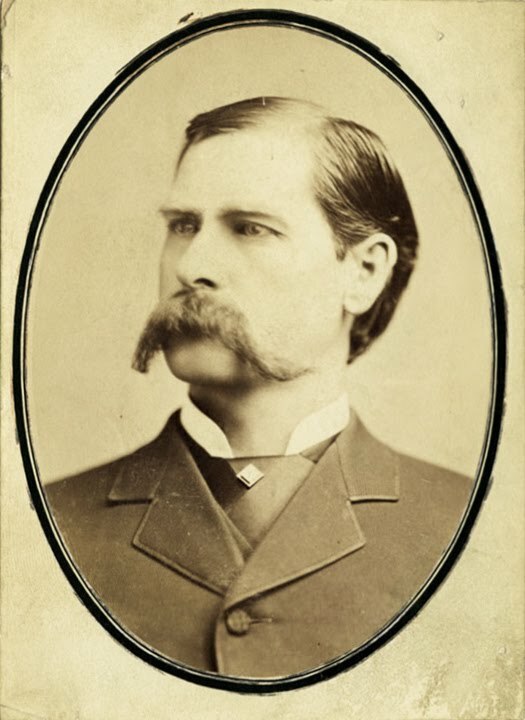 What many people may not know is that Wyatt Earp operated four saloons/gambling halls in San Diego between 1887 and around 1896. The establishments were located in our Gaslamp Quarter, called the Stingaree District back then. Patrons were offered games of faro (a card game), blackjack, poker and keno. Earp often made $1,000 in profit per night! His most famous gambling hall was The Oyster Bar. One reason for The Oyster Bar's popularity was The Golden Poppy, the brothel upstairs, where each room was painted a different color and the lady of the room wore a matching dress. The Oyster Bar was located in the Victorian building at the current address of 835 Fifth Avenue. Visit here now for a steak dinner at the upscale George's on Fifth. Check out these interesting My-Town-Monday posts from fellow bloggers! Jim Winter hails from Cincinnati, OH with a post on the National League's Big Red Machine. From Toronto, Ontario, Canada, Barbara Martin steps back in time for a look at wall, window and floor coverings in 1906. Clair Dickson's been up in the Pictured Rocks area of Northern Michigan, snapping pictures of Wagner Falls. 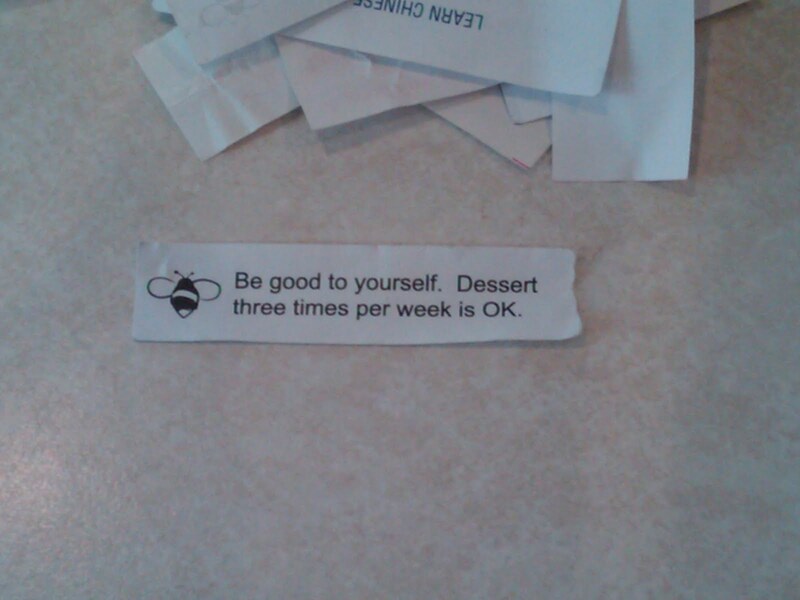 I'm not sure why, but I somehow got in the habit of saving the messages from fortune cookies. 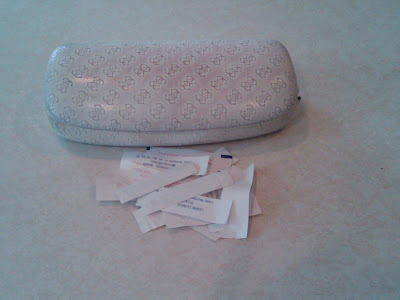 I keep them in my sunglasses' case, which isn't particularly handy. I have to be careful when getting out my sunglasses (which is often because a) I live in San Diego and b) the sunglasses are prescription) so that the fortunes don't fall out or blow away. I do have a history with fortunte cookies, although I can't stand the taste of them, but am only interested in the bits of paper found inside. 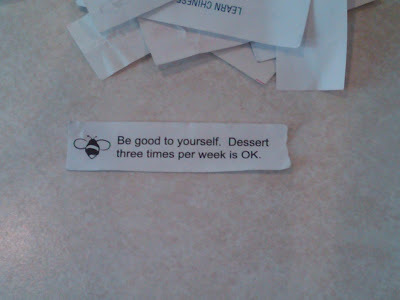 Here's a fortune I handpicked for you today! Enjoy! If you're anywhere near San Diego, please consider stopping by the Mysterious Galaxy Bookstore, 7051 Clairemont Mesa Blvd, San Diego 92111, tel: 858-268-4747. It's the store's 18th birthday so they'll be serving cake and hosting several spotlight authors. I'm on at 11:00 am. Here's a link detailing the event, including a list of all the spotlight authors. This bookstore is more than worth a visit. The employees are super well read and friendly. 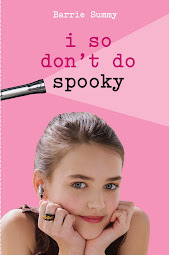 The store specializes in, well, everything, but especially mysteries, sci fi, and fantasy. As an added bonus, there's a really good game store almost next door, Game Empire. Last, but certainly not least, if you've got a sec, hop on over to David Cranmer's The Education of a Pulp Writer blog where the delightful Denise has posted about Sherry and I So Don't Do Famous. And, now, I'm logging off to return to writing. I hit a decent stride yesterday and am hoping to return to it this morning. Happy Weekend to all! Please welcome Sherry in her fourth mystery! For this case, she travels to Hollywood and goes undercover to bust up a burglary ring that's been breaking into celebrity homes! 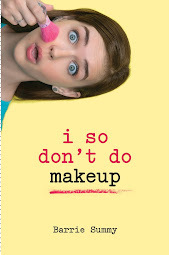 A book release day is very exciting. In fact, it's uberexciting. Quite possibly, you've heard the screams bursting forth from the Summy household! -I tidied the house. I had to. I live with teens. -I fed the chameleons and walked the dog. They don't appear to understand the concept of Release Day. -I talked on the phone and answered emails. Sometimes simultaneously. -I wrote. I'm behind on my current manuscript. And....now I'm going out for a drink with a friend which will segue into a delicious sushi dinner with Mr. Summy. The children are at various practices. Hello Sherry! I'm looking forward to seeing you in bookstores and hearing about you from readers! 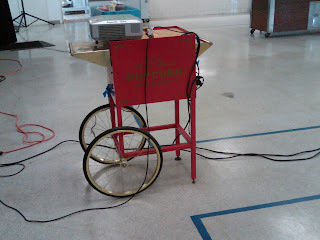 As many of you know, I was recently in Hershey, PA, speaking at the Pennsylvania School Librarians' annual conference. 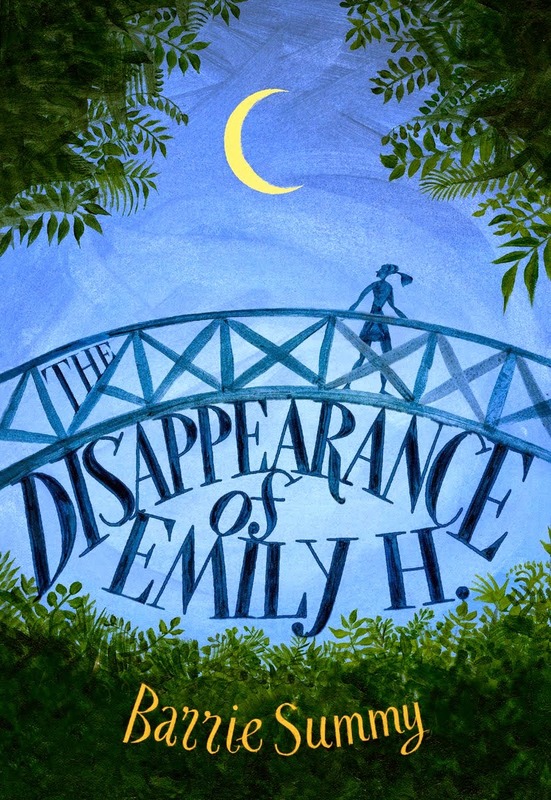 I loved what I saw of Pennsylvania (thank you, Author Misty Simon, for toting me around!) and thought my trip might make for a few interesting My Town Monday posts. Lititz, Lancaster County, PA was settled in the 1720s by Pennsylvania Germans. Today, Lititz has a population of around 9,000 and is located about 2,661 miles northeast of San Diego. Guess what happened in Lititz, PA in 1861? 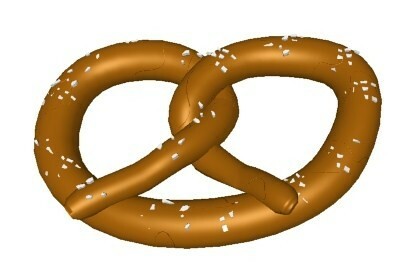 The first commercial pretzel bakery was built! A man named Julius Sturgis had been running a bakery for about 11 years. One day, a hobo knocked on his door, asking for a job. Mr. Sturgis didn't have any positions open, but offered the man a meal. (I can totally see this happening. I found Pennsylvanians to be incredibly friendly.) In return, the hobo gave Mr. Sturgis a pretzel recipe. Mr. Sturgis quit baking bread and started the first commercial pretzel bakery in the US. Of course, you never know how much truth there is in these stories. But they're fun to pass along, nonethless. And, in this case, tasty. The Julius Sturgis Pretzel Bakery is still family owned and running today. You can take a tour. You can take a pretzel twisting lesson. You can also order online. The Sturgis family is hosting a 150 birthday anniversary for the pretzel bakery on July 30. Click here for links to more My Town Monday posts! It's always fun to see what's going on in other corners of the world. 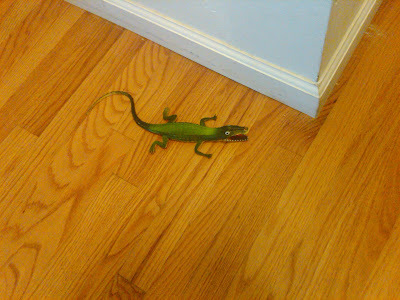 Child #4 (10 year old daughter) will be thrilled to hear that the Plastic Chameleon in the Hallway trick really works! Welcome to the May meeting of our Book Review Club! We have a wonderful line-up of books this month. Interestingly enough, we've reviewed more adult books by far. Always a little out of step, I chose two young-adult books. ;) Please grab a coffee and a cookie and make yourself comfortable. Below my review are links to a slew of great reviews by fellow bloggers. Just last month, my good friend Maureen McGowan (we met online, then discovered she lives within walking distance of one of my sisters in Toronto!) celebrated the release of TWO young-adult books. Both Cinderella: Ninja Warrior and Sleeping Beauty: Vampire Slayer are part of the Twisted Tales series, where fairy tales get a contemporary makeover. 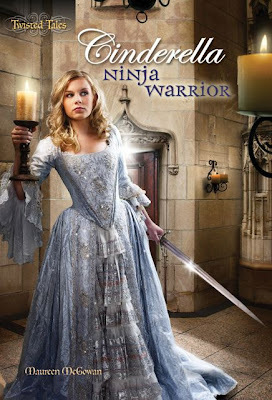 In these delightful totally revamped versions, the very capable heroines save themselves and land the prince. In addition, these books are reader interactive, meaning the reader makes choices regarding the path of the story. You can just imagine how much Child #4 is enjoying Maureen's books! I caught up with Maureen and asked her some questions. Me: Maureen, I've always had you pegged as a genius. And these books clinch it! I mean, seriously, CINDERELLA and SLEEPING BEAUTY must have been really tough to write. You had to come up with and keep track of a variety of plot lines. How tough was it? Are you an outliner or a panster? Were there moments when you were pulling your hair out? Normally, I’m a hybrid between a plotter and a pantser. I like the idea of plotting and outlining in theory, but if I’m not forced to do a full synopsis before starting, I typically give up at some point, assuming I’ll figure it out as I go along. Even when I do have a book fully plotted ahead of time, I usually think of something great while writing that takes me off in other directions. Then I have to stop midway and re-plot. The Twisted Tales books forced me to plan more than I usually do, because the alternate routes circle back into common sections. It was both really fun and really hard to imagine different ways in which the plot could unfold yet still lead to a single ending. Me: Where do you do most of your writing? At home? At a coffee shop? In sweats? Maureen: My taxes. Oh, you meant writing-wise… I’m revising a dark young adult novel set in a post-apocalyptic world and just starting another young adult novel that, well, I’m not really ready to talk about, yet. Me: Thanks, Maureen! Best of luck with the Twisted Tales books and ALL your writing projects! 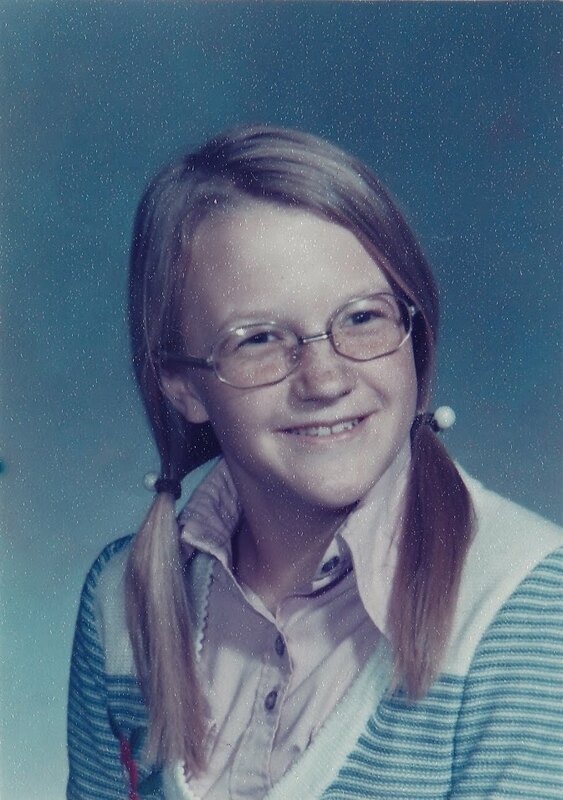 And here's a rare photo of Maureen at the age of 13, the age of many of her readers. I don't think she could be cuter! Maureen's wearing her favorite sweater. Oh, and Happy Birthday, Maureen! 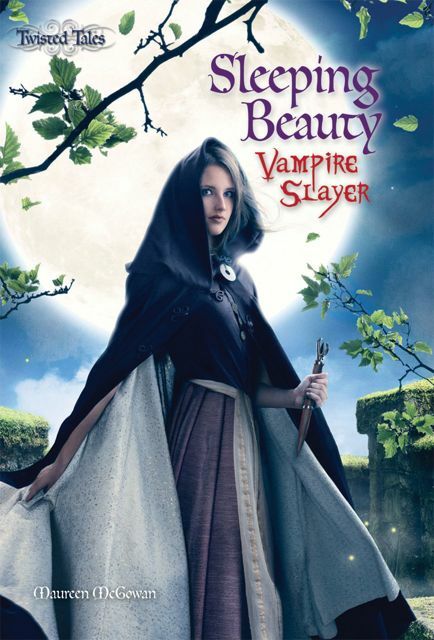 As promised, here are links to amazing reviews by amazing reviewers! Pleae click through to discover books you'll want to read.